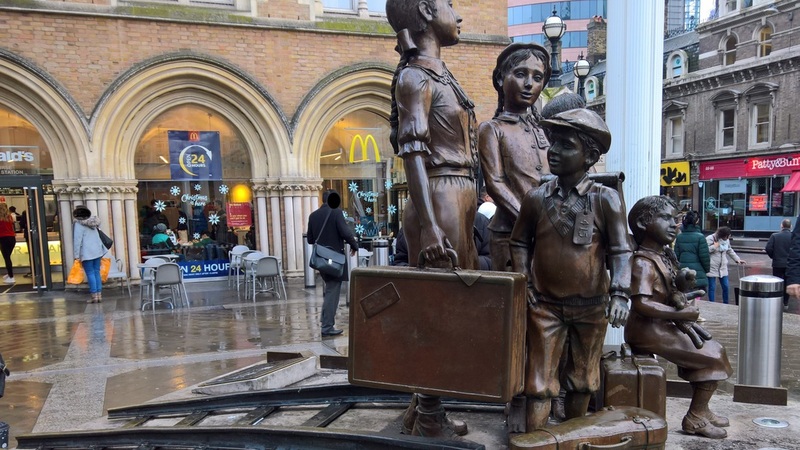 The campaign website has been updated with a brief report of the launch meeting, and a full list of the founding supporters. In further excellent news, the campaign is pleased and proud to announce that the broadcaster and journalist Nick Conrad has accepted the role of Honorary President. 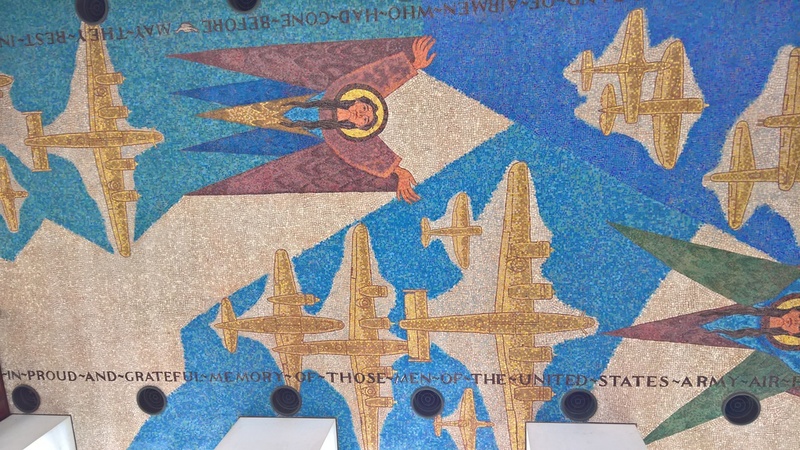 This post is about a military memorial, but with a difference. This is the campaign for a memorial to the 97 British troops massacred by the SS at Le Paradis, in northern France in 1940. They fought the SS to a standstill in the defence of the Dunkirk evacuation and surrendered only after running out of ammunition. 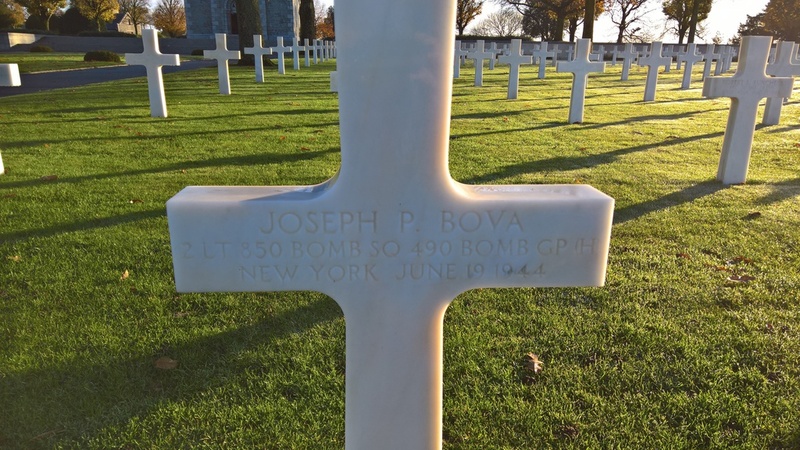 Instead of becoming POW's, as they had every right to expect, they were machine gunned. Many victims of this war crime were from The Royal Norfolks. 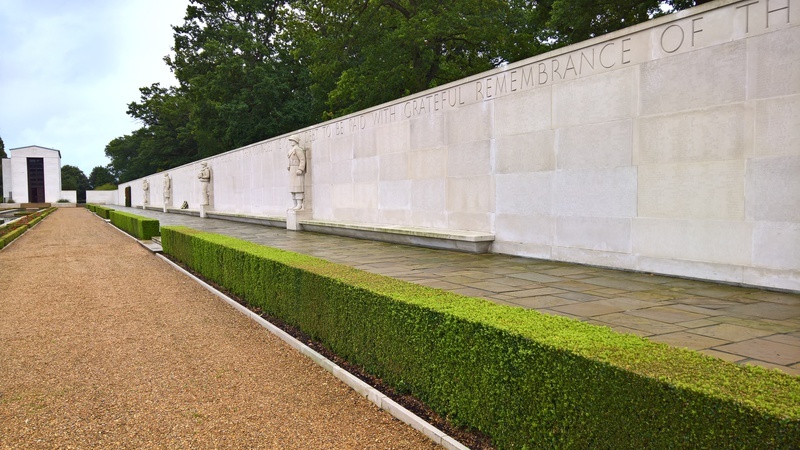 There are four memorials to these heroes in Le Paradis, northern France, but none in Norfolk. 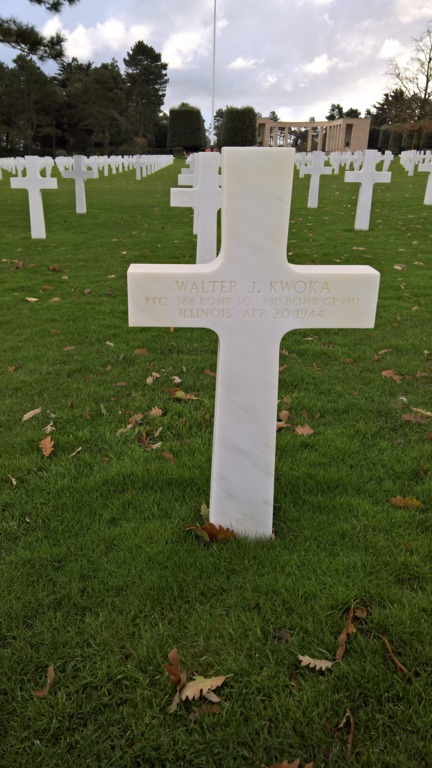 Below is a photo of one of the memorials in France. Hill 112, south of Caen, was an objective of Operation Jupiter in July 1944. These photos give a feel of the extent of the memorial. 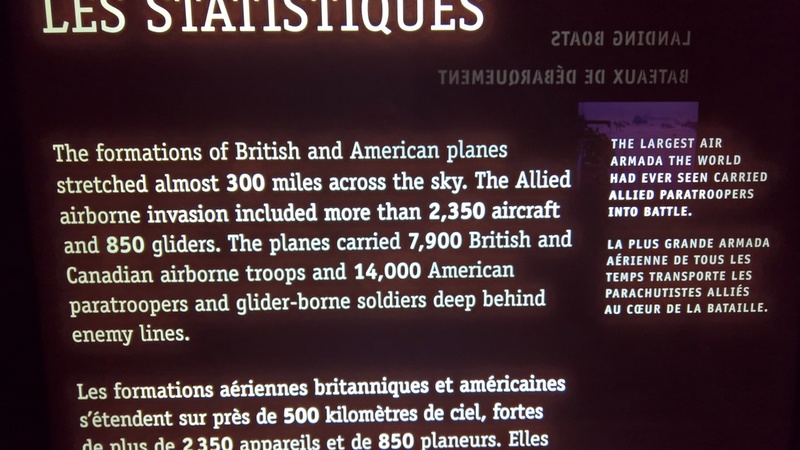 Normandy, unsurprisingly, has multiple memorials relating to the D-Day landings. 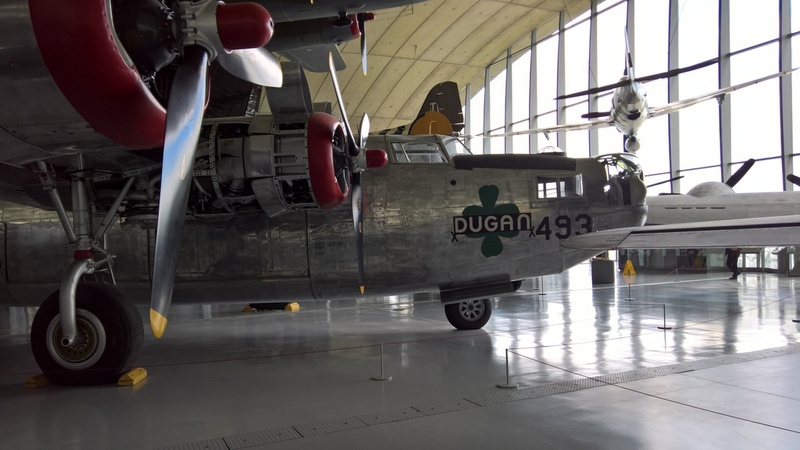 I have many photos taken during a visit to Caen in the summer. I'll include some in the next couple of posts. This memorial is in the town centre in Bayeux, and speaks for itself. 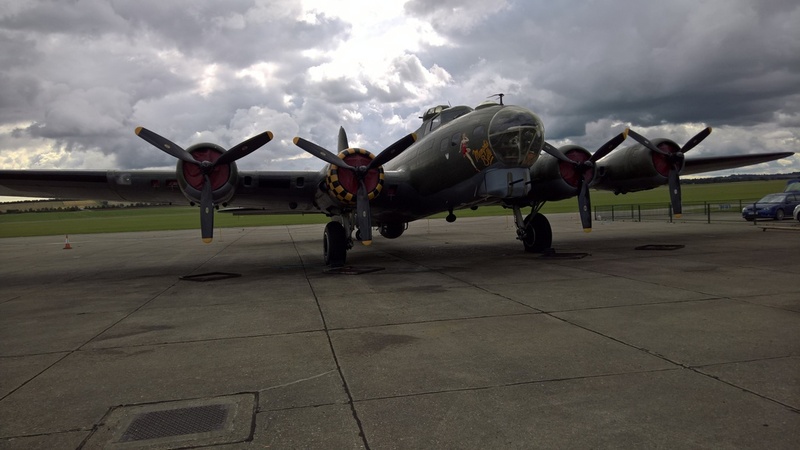 The video of the memorial to the service of the 351st BG(H) has now been uploaded to YouTube. 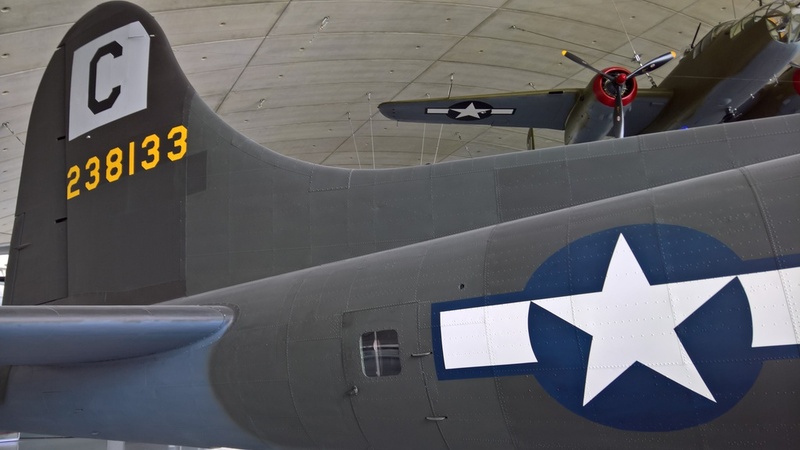 To help us grow the memory of the role of the USAAF in defeating Nazi Germany please give it a thumbs up and subscribe. You can view it here. 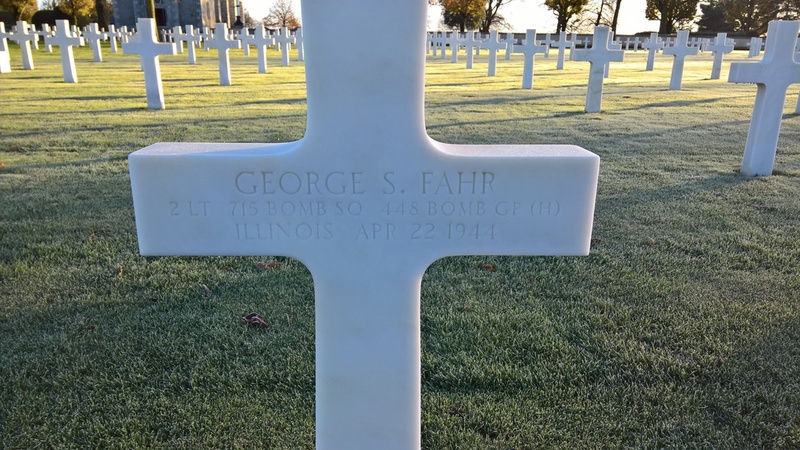 The video of the memorials, in two locations, to the service of the 401st Bombardment Group (Heavy) has just been published on YouTube. 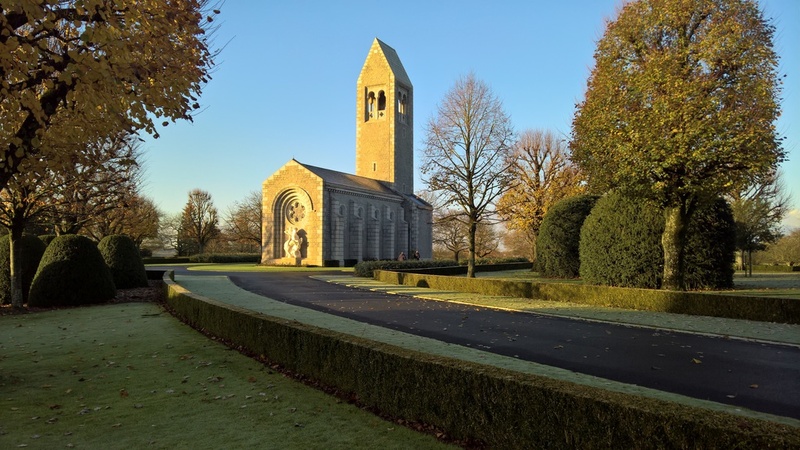 Please view it and if you like it then log into Google to give it a thumbs up, and to subscribe to the 'Mighty Eighth: memorials in England' channel. 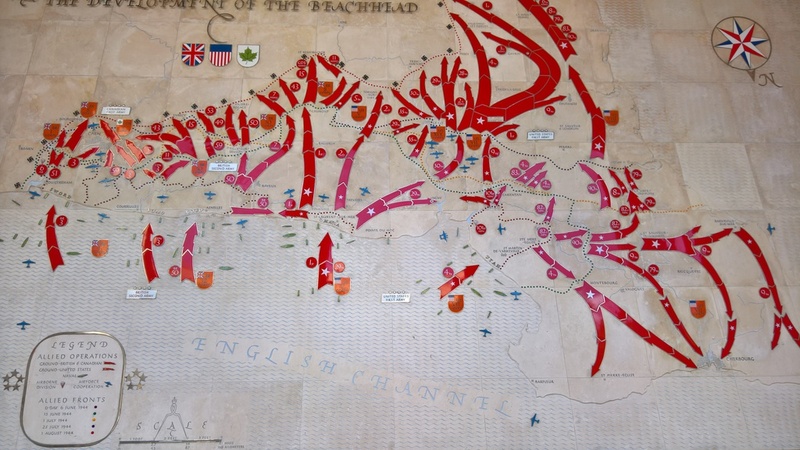 Recently I've been researching the defence of Dunkirk in 1940 by the Royal Norfolk Regiment. They were among units fighting a rearguard action, defending the approaches to Dunkirk while the greater part of the British Army was evacuated. They fought bravely, heroically even, and fought the Nazis (an SS regiment) to a standstill. Only when they had exhausted all their ammunition did they surrender - and pay the ultimate price. Instead of becoming POW's they were murdered by the SS. Their only crime was that they had resisted too determinedly and inflicted too many casualties on the Nazis. Ninety seven british were murdered that day, more than fifty of them members of The Royal Norfolk Regiment. You can read more here. 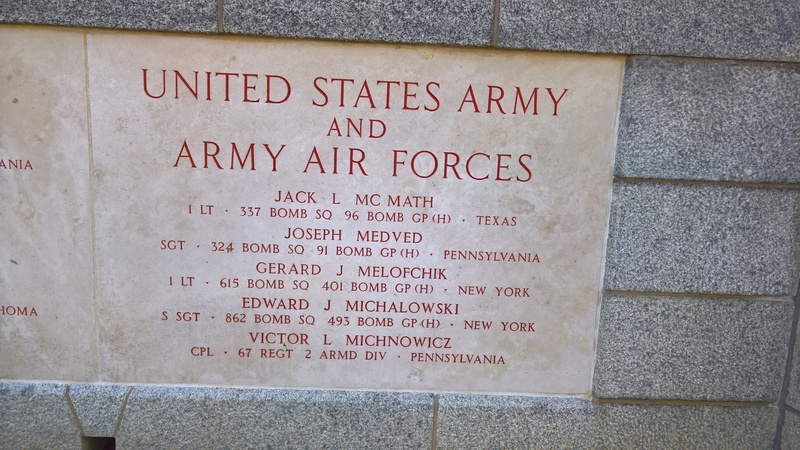 There are also several memorials at the site of the massacre. You can see them here. 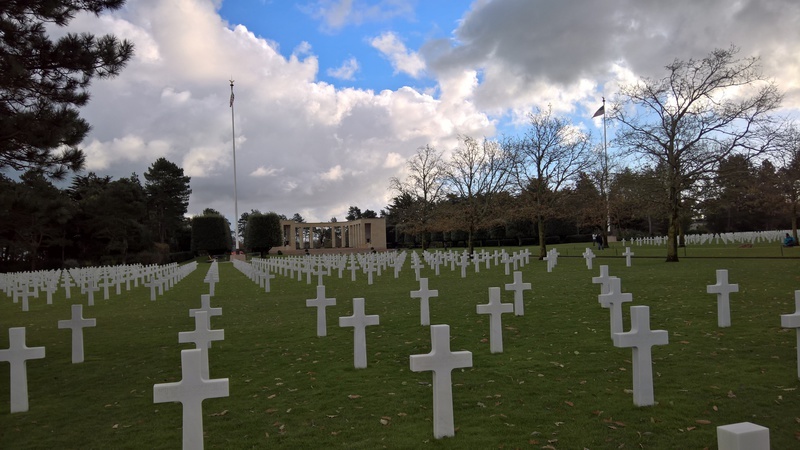 These photographs were taken at the American Cemetery in Normandy. Several hundred Mighty 8th casualties are buried or otherwise commemorated there. This is an interesting reminder of how the world has changed. 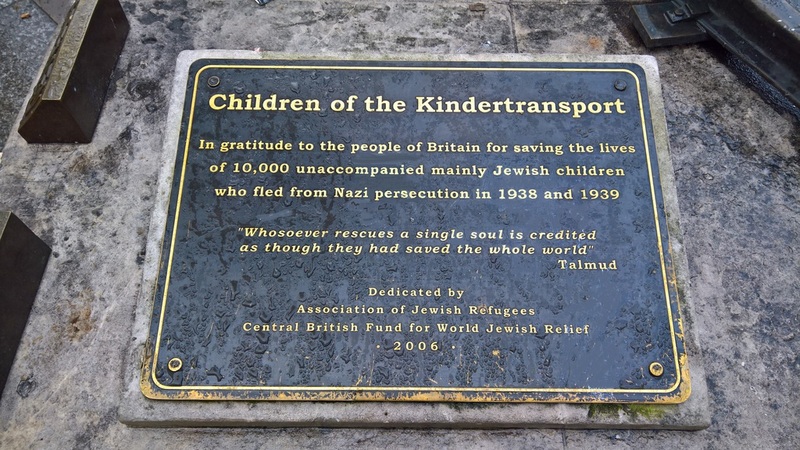 This plaque is on Central Hall, Westminster, London. 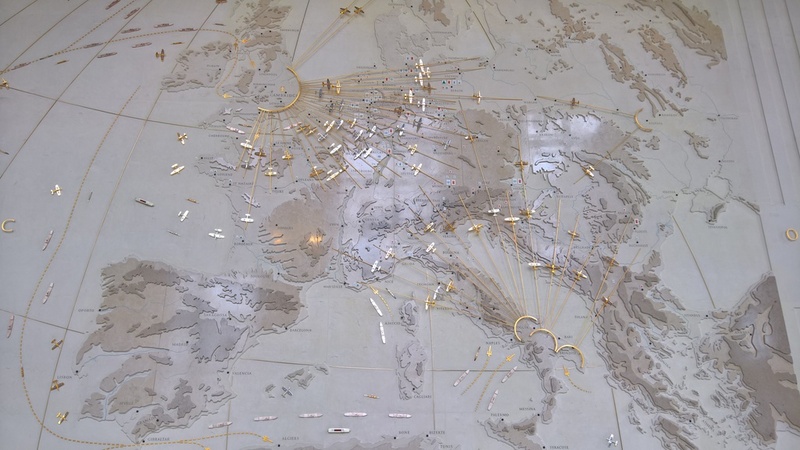 It records the first meeting of the United Nations, soon after the end of WWII. Amazing what you can learn! 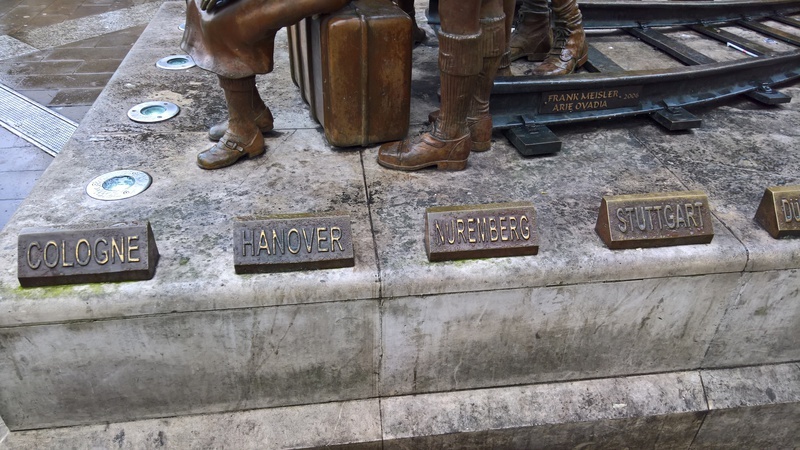 I often travel through the station, and must have walked past the memorial, without noticing, many times. 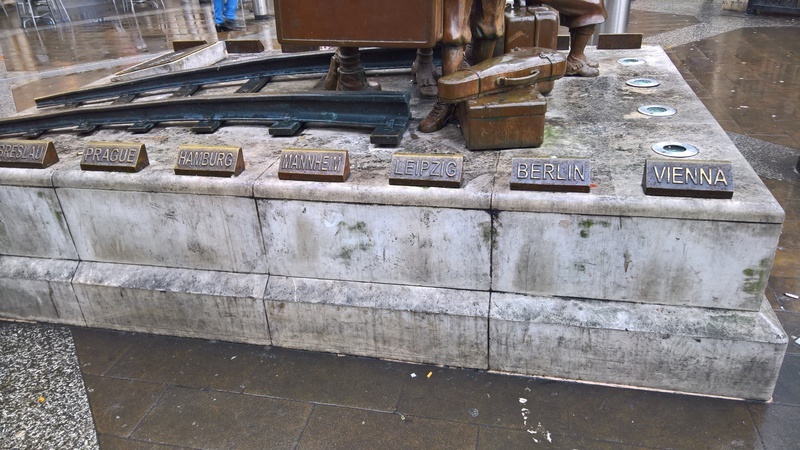 I know its not a Mighty Eighth memorial, but it deserves inclusion in this site because it emphasises why the war was fought. 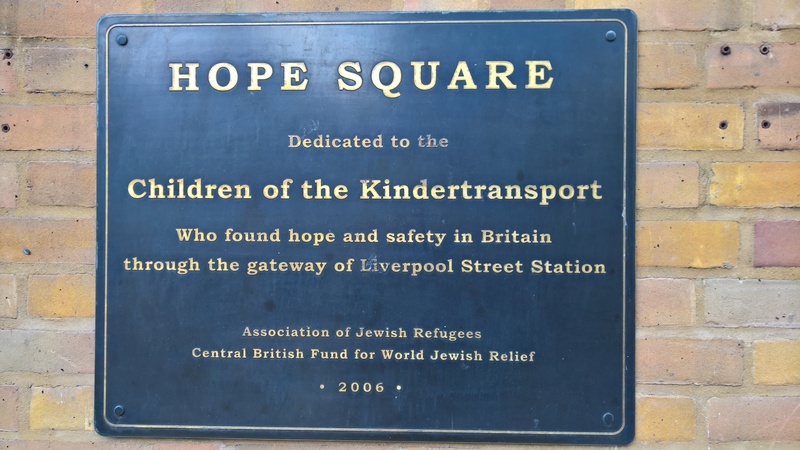 Without the Kindertransport these children would have been murdered by the Nazis, the same fate that befell their families (who were not allowed to travel). They lived - as orphans - but they lived, unlike so many of their contemporaries. 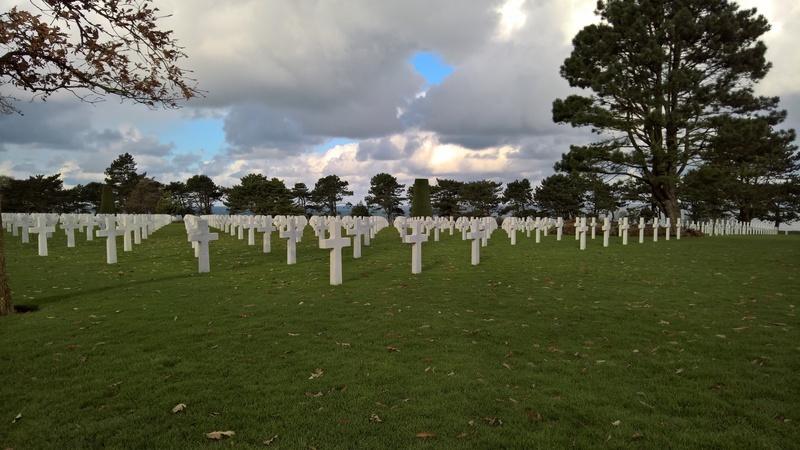 The following photos are a sample from my visit to the ABMC* cemetery in Brittany, France. Further photos from France. The blue sign is in the centre of the small market town, St James, in Brittany. 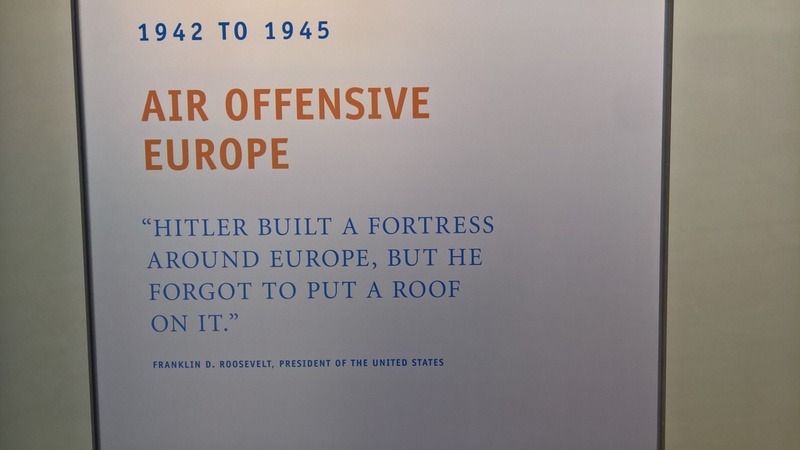 The text with a black background is from a display at the American Cemetery in Normandy. They tell their own story. 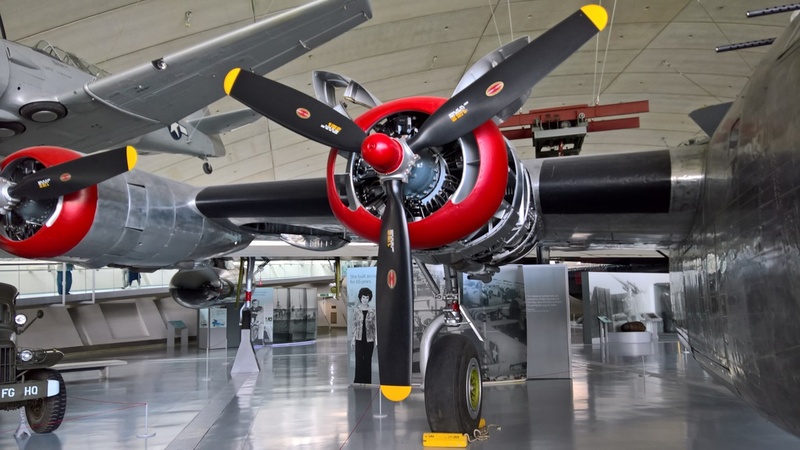 Normandy is awash with memorials, museums, cemeteries and other reminders of WW2. Nevertheless, I was pleasantly surprised to find this memorial to the Royal Navy and Royal Marines in the carpark of Ouistreham ferry port. 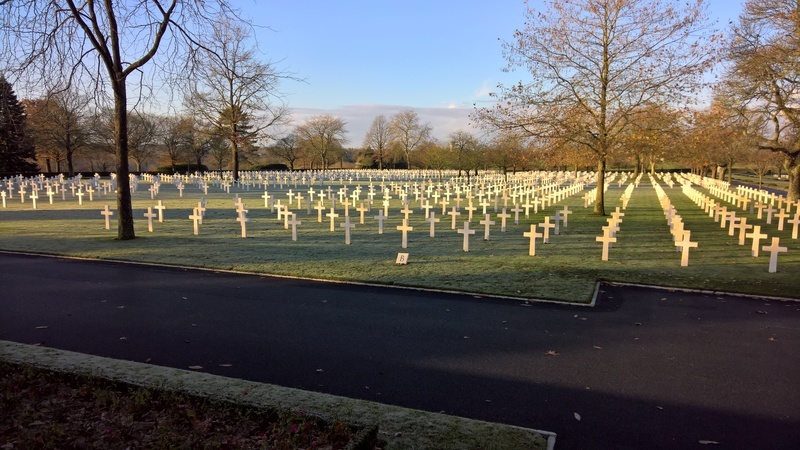 After all this time, more than 73 years after the Liberation, it is a stark reminder of how grateful the people of France still are for our role in liberating them from Nazi tyranny. 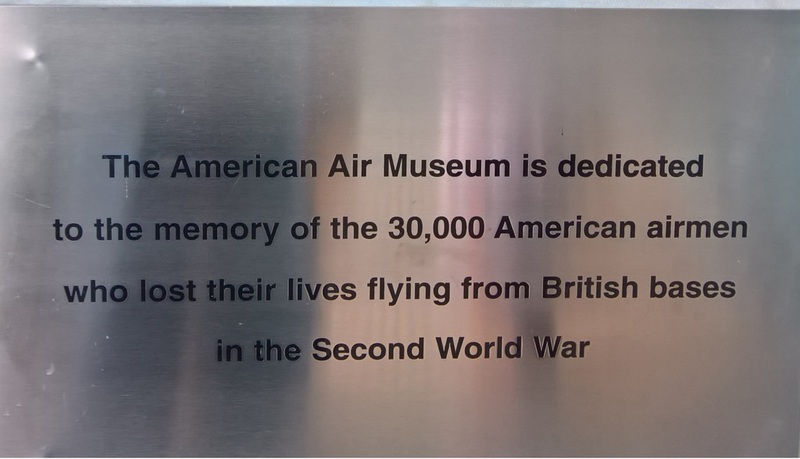 On the recent visit to Glatton, home of the 457th BG(H), I missed a key memorial. So I revisited to correct this omission. A sample is attached here. 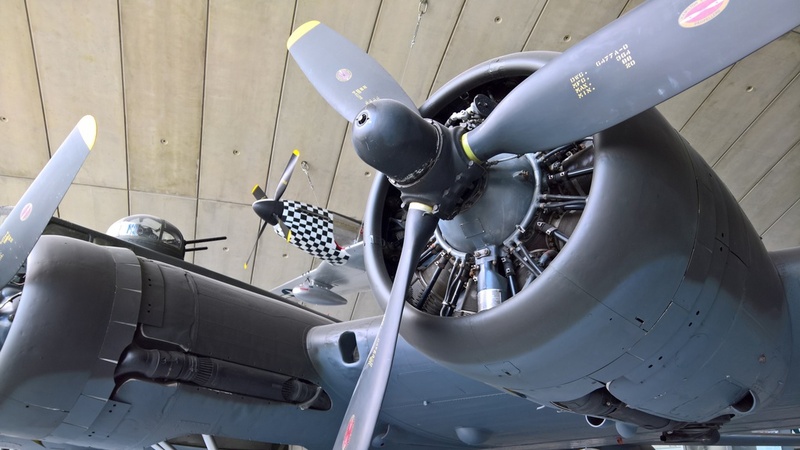 More photos will be included in the video, due for publication in mid-December. This locomotive, with the memorial to the USAAF 2nd Air Division, is operated by the Bure Valley Railway in Norfolk (England). More pictures can be seen below. 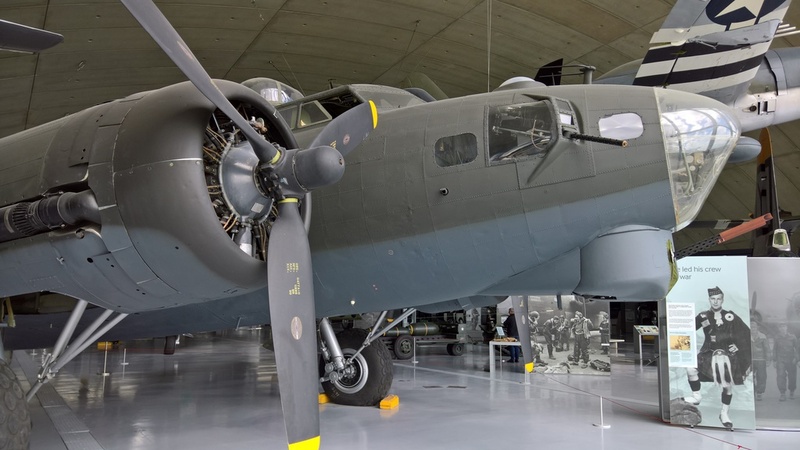 The American Air Museum in Britain website (part of the Imperial War Museum), has a photograph of this formation ship for the 445th BG. Unfortunately only black and white, but still worth a look. See it here. Photo: 2nd AD Memorial Library model of the Liberator that served as the formation ship for 445th BG(H) out of Tibenham. The alternating black and orange stripes are for ease of identification. 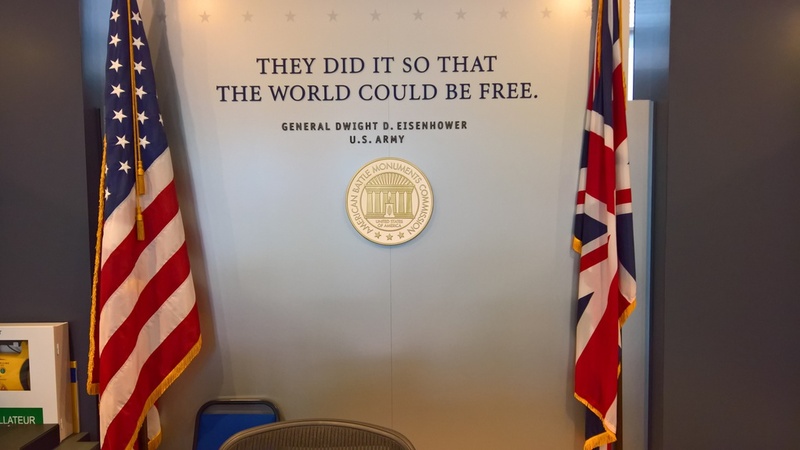 Visited the 2nd Air Division Memorial Library in Norwich (England) last week - hence the photo above. I’d been there before and knew the staff were well informed. I also knew there was an archive there, but I hadn’t realised just how much more was available. Very impressive. I learnt a lot. I recommend you to drop in if you’re in the vicinity. My thanks to Libby Morgan, the Trust Librarian for her assistance. Facebook page for 2nd AD Memorial Library. Q. 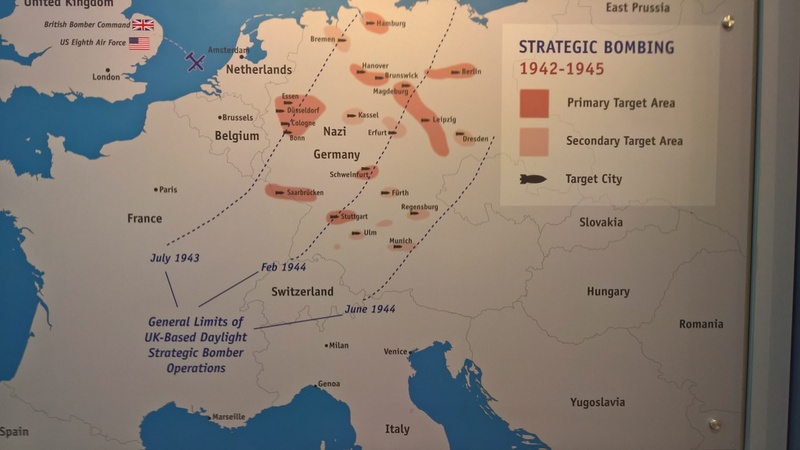 'Bombardment Group' or 'Bomb Group' - which usage is correct? A. 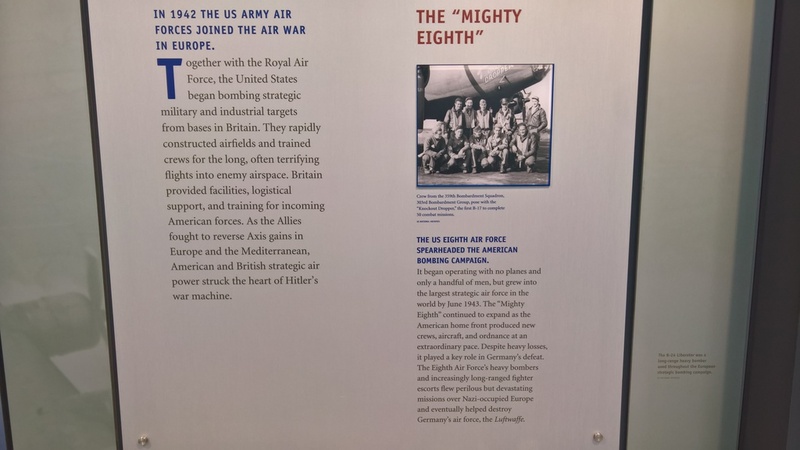 The official and quasi-official sources, such as Eighth Air Force Historical Society and Army Air Forces in WWII websites, all seem to prefer bombardment as in Combat Bombardment Wing, Bombardment Group and Bombardment Squadron. 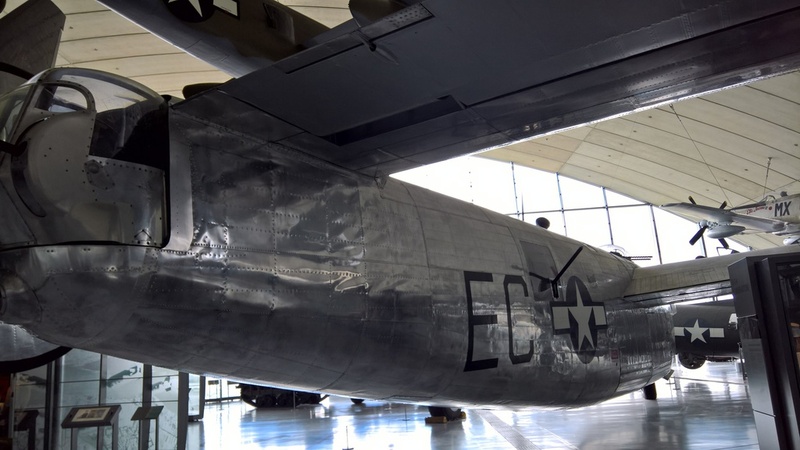 However, colloquially, bomb is usually used in place of bombardment, as in Bomb Squadron. Interestingly, the American Battle Monuments Commission website search facility uses Bomber Squadron and similar. And the short answer; all three variants are in current usage and therefore correct. 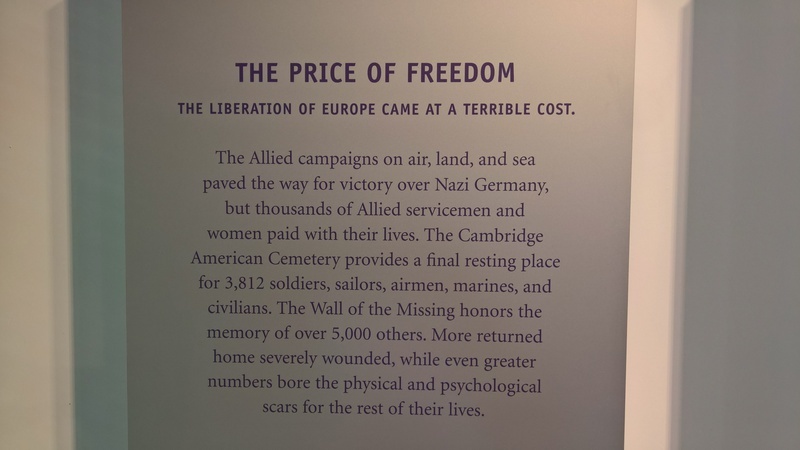 On a quiet residential street in Norwich (England), a reminder that the war against nazism was international, and the price paid for defeating nazism was also international. Visited the memorial to the 457th BG (H) who were based at Glatton, Station 130. I was intrigued by the headstone to Pilot Officer D.C.Taylor (see photo below). A South African. Observer in the RAF. Jewish. Age 31 which, I believe, is relatively old for RAF service. Then comes the 'personal' comment at the bottom. 'His passing is a tragedy too great for words. MHDSRIP'. The opportunity to add a 'personal' comment is a service offered to the family - at a cost. Documents I have seen suggest the cost was 7/6 (seven shillings and six pence). I did not know what 'MHDSRIP' stood for and had to look it up. 'May His Dear Soul Rest In Peace'. 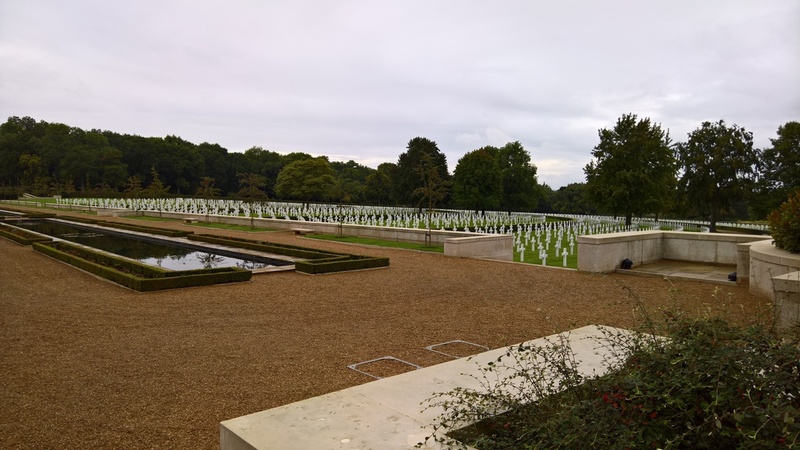 Visited the main War Graves Commission Cemetery in Norwich. The gravestones tell so many stories. See what you think from this small selection of photos. I've just been reading 'The Mighty Eighth - War Manual' by Roger Freeman. What caught my imagination was the section on 'Heavy Bomber Formations', describing the complex three-dimensional formation needed to get hundreds of aircraft together in the correct place, so close that they could protect each other against enemy fighters but so co-ordinated that falling bombs did not hit lower aircraft. The complexity also helps explain why there were so many accidents during training. 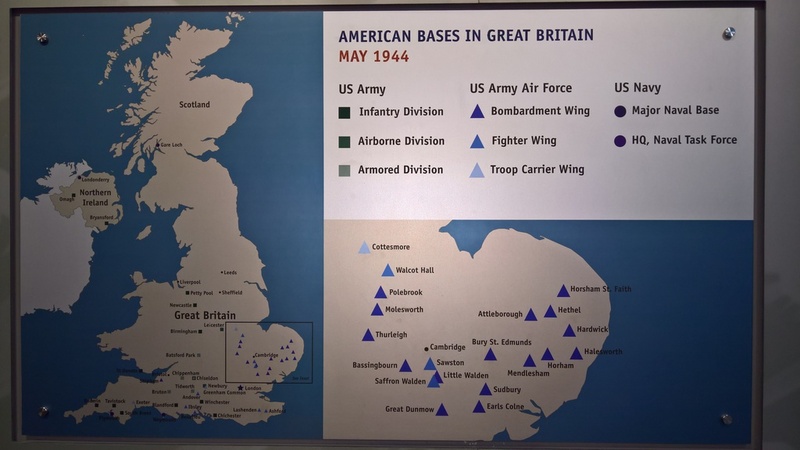 The airfield plans at the end of the book are also very interesting, especially for anyone who has visited some of the sites. Added the page 'Missions and Losses'. 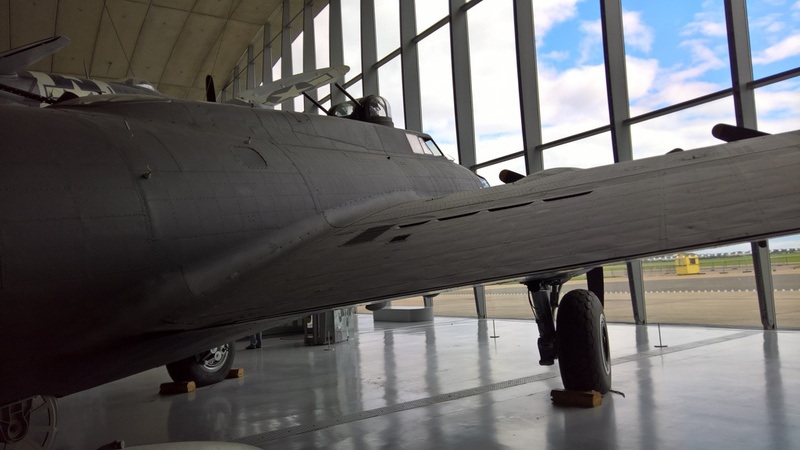 A visit to Duxford in September 2017. On the basis that a picture tells a thousand words, here are twelve pictures that are definitely more interesting than 12,000 words. 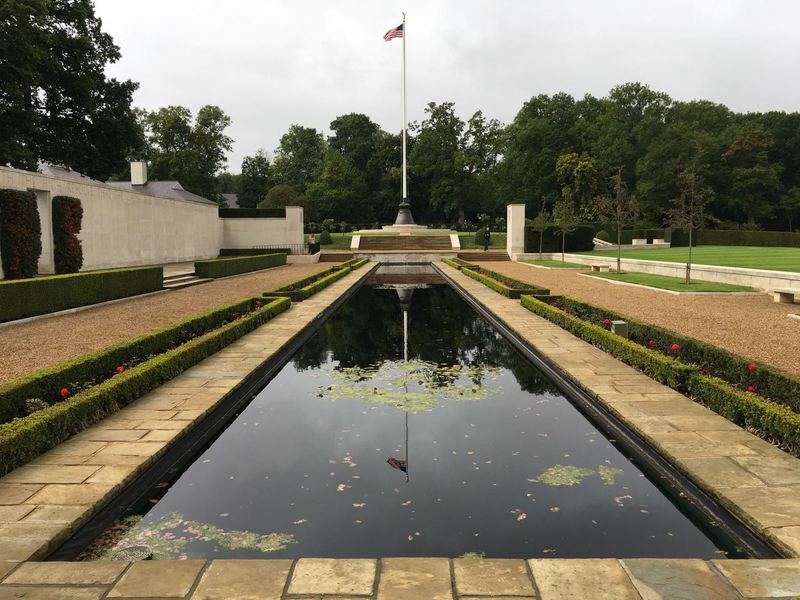 Just up the road from Duxford (just 10 miles away) is the Cambridge American Cemetery and Memorial. 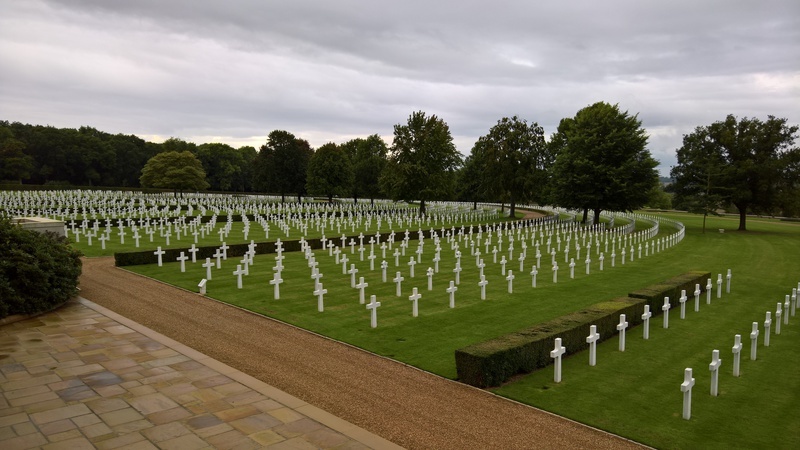 It serves as a stark, and humbling, reminder of the price the USA paid in helping to defeat the Nazis. 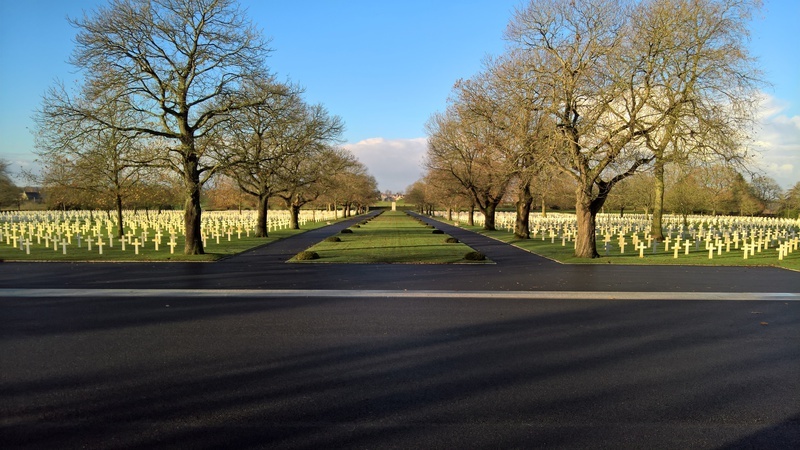 To gain an excellent perspective on the scale and dignity of the cemetery, view it on Google satellite or similar.